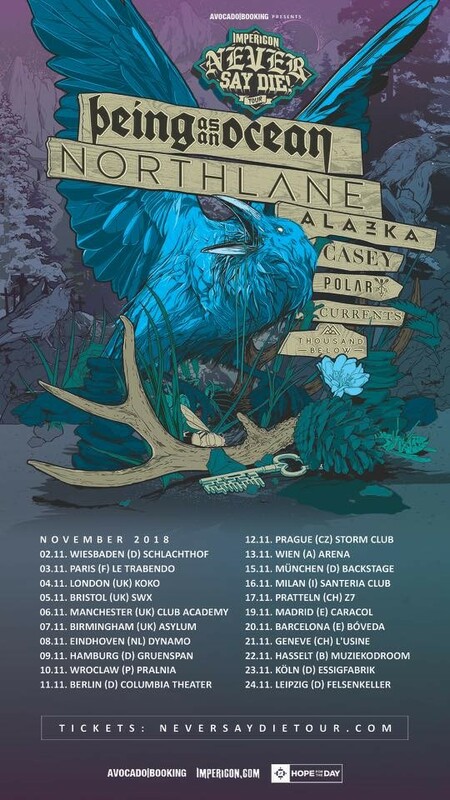 UNFD’s Northlane, who last released their stand-alone, aggressive single “Vultures”, are currently on the road as part of Impericon’s Never Say Die! Tour, as co-headliners with Being As An Ocean. Rise Records’ Thousand Below (watch their latest video for “Vein” here) are also part of the lineup, which is completed by Alazka, Casey, Polar, and Currents. Check out the dates in the poster above.